We are professionals and have provided quality music & entertainment together for wedding ceremonies, receptions, corporate and classic events for the over 19 years. 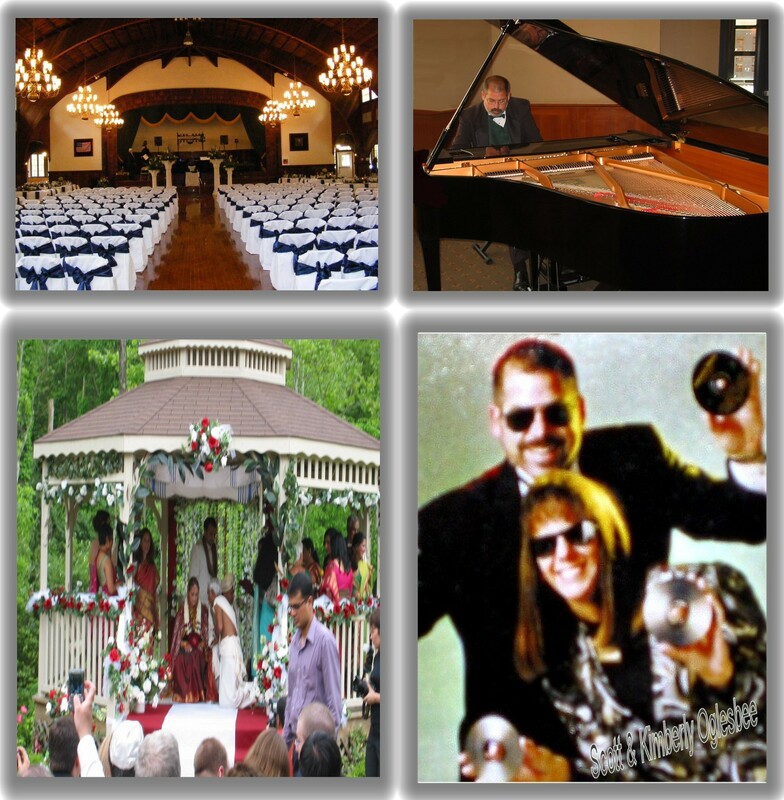 Scott has been performing events, wedding ceremonies and receptions for more than 30 years. We are setup dressed in tuxes and sound checked before any of your guests arrive. Kimberly greets the wedding party when they arrive and helps to get them in order for the Introduction. We will help direct the seating of your guests at the appropriate time. Scott will make any announcements that are needed in accordance to the venue or caterers needs in relationship to dining. (Kim is also available at this time to personally release tables if needed). Scott emcees the cake cutting. (This is always done very tactfully unless requested otherwise). Dinner is over and it's typically the time to build excitement and start the festivities. We will announce Garter / Bouquet, The Bride and Grooms first dance together as husband and wife, Father Daughter / Mother Son dances and any other special dances. Scott will invite everyone to join us on the dance floor for a dance before picking things up. (This always breaks the ice and we normally get about 90% of your guests out of their seats and up dancing right away). 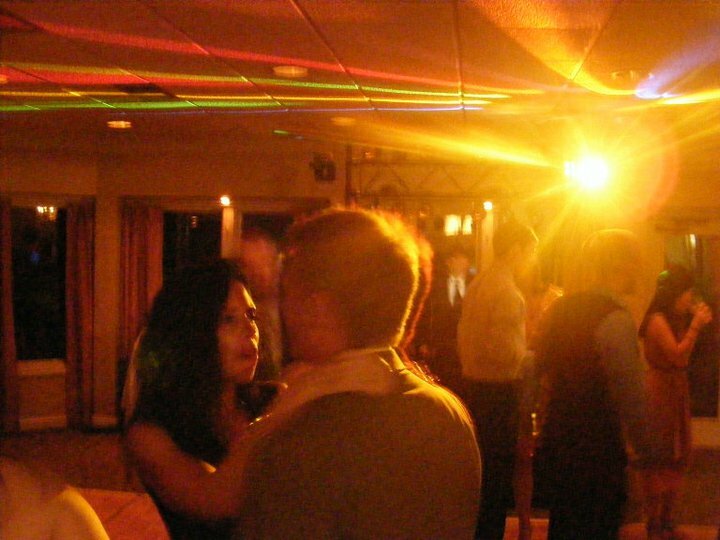 Open dancing: Your music choice is very important, we play the music you want and do not play anything you do not want. Typically a variety of music, at an appropriate volume level for all ages in the beginning. We have all of the normal fun interactive music available and we always welcome your ideas and thoughts about related music from other special moments in your life. (College Songs, Concerts, Etc.). Our music collection is extensive with well over 250,000 songs available and we always are available to take music request from your guests. (As long the music requests meet your criteria). Ask About One of Our Classic Closings: Great memorable ways to end your special event. Depending on your expectations and requirements your entertainment may be the most important part of a successful event. Music and entertainment is our full time business and we will provide you with what you desire and make your day as stress free as possible. When we are contracted (Scott & Kim Oglesbee) we will be the persons you will be communicating with and the individuals present performing your event. When we quote a price or contract an event everything is included, no last minute surprises. We are always happy to answer your questions and glad to speak with you in person! You may print a worksheet with details. You may print your contract. You may pay or make payments online with a Credit Card or PayPal. View payment details and balance.